If you haven't noticed, I can't get enough of plaid! I paired this flannel plaid top with destroyed black denim. I wanted to keep the outfit casual but crisp. I styled it with these amazing pumps that have a strap detail and also a statement necklace to make the outfit more bold and feminine. 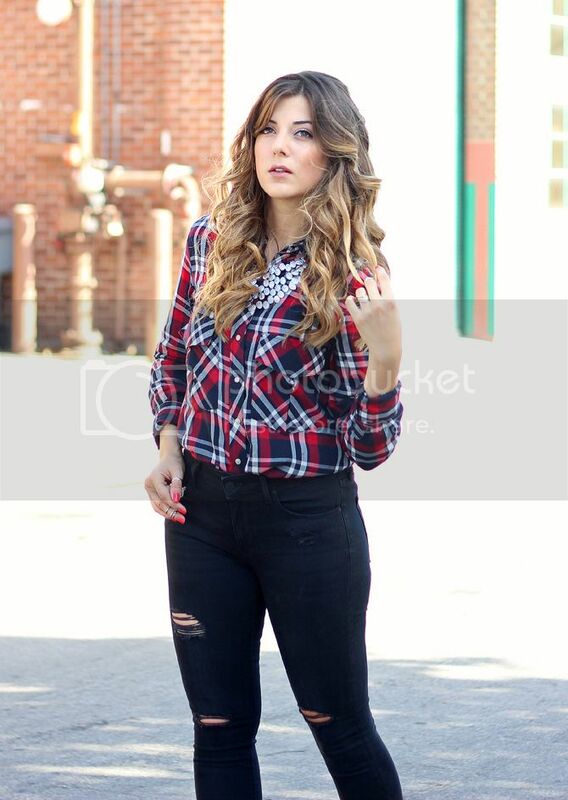 Love the plaid and the necklace! That's literally the perfect fall combo!